Legal Internet marketing company, Sipe & Associates, Inc., d.b.a. 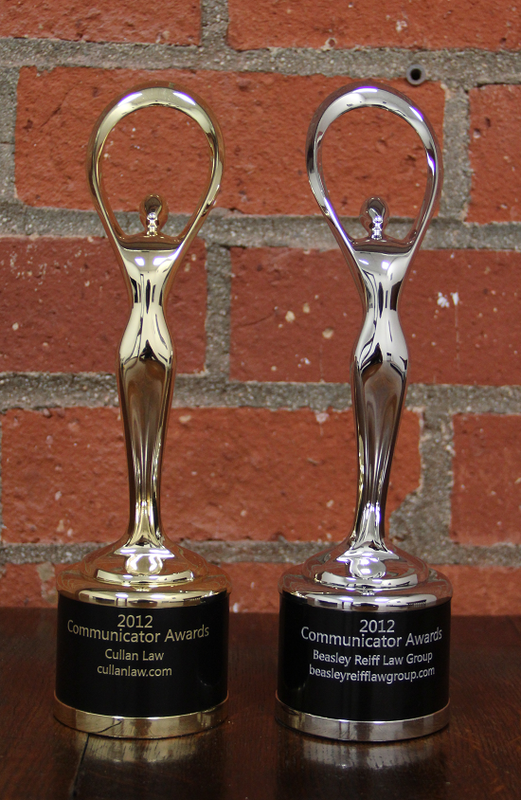 SLS Consulting, has been recognized as a 2012 Winner under two categories for two different websites by the Communicator Awards, a principal international creative awards program that honors creative distinction among communication professionals. In the Corporate Communications category, SLS Consulting won the 18th Annual Communicator Award of Excellence Winners, and in addition won the 18th Annual Communicator Award of Distinction Winners in the Law and Legal Services category. In being recognized for the design and development of the legal website http://www.cullanlaw.com/ for Cullan & Cullan, LLC, a Nebraska personal injury law firm, SLS Consulting is honored to be included in the 18th Annual Communicator Award of Excellence Winners. This yearly competition involves more than 6,000 submissions from production firms, graphic designers, ad agencies, in-house creative professionals, interactive agencies, public relations firms, and design firms across the United States and throughout the world. The Communicator Awards acknowledges the best in advertising, public relations, corporate communications, and identity work for print, video, interactive and audio, and is judged and monitored by the International Academy of the Visual Arts (IAVA). By basing the judging of entries on the evaluation of distinction in creative work, those who submit are examined for their merits in comparison to a standard of excellence established by an 18-year history held by the Communicator Awards. IAVA consists of over 500 members of leading professionals from different facets of the visual arts who are committed to the progression and evolution of traditional and interactive media. Some of the renowned "Who's Who" of media, advertising, and marketing firms that are current IAVA members include Disney, Coach, Condé Nast, The Ellen Degeneres Show, Estée Lauder, HBO, Keller Crescent, Monster.com, MTV, Polo Ralph Lauren, Sotheby's Institute of Art, Tribal DDB, Victoria's Secret, Wired, Yahoo!, and several others. In reflection of this year's competition, executive director of the IAVA Linda Day stated, "The pool of entries we received for this year's Communicator Awards serves as a true testament to the innovative ideas and capabilities of communications and marketing professionals around the world. Each year our entrants continue to amaze by reinventing the ways we communicate and market in an ever-changing industry." She also went on to add, "On behalf of the entire Academy, we congratulate this year's Communicator Award Entrants and Winners for their passion and dedication. We are humbled to be given the opportunity to recognize such amazing work." It's Not Magic, It Just Takes Hard Work! Susan L. Ziegler, President and CEO of SLS Consulting has devoted over 11 years to providing law firms and attorneys in all corners of the United States with effective Internet marketing strategies and custom websites. With her extensive knowledge of search engine optimization (SEO) and the ever-evolving world of the Internet, Susan and the legal Internet marketing team at SLS Consulting work diligently on personal and professional law firm website design, content, local listings, and social networking to help clients garner high search engine visibility for client conversion and development.